This has been the flagship model for Toyota range in United States and Canada since the nineties. First model came out in 1992 and today it is the fourth generation vehicle. First fourth generation model came out in 2012. This is a typical family sedan that comes little bit closer to Lexus on every new model year. Today it stands somewhere in between affordable Camry and more luxurious Lexus models. New model comes with increased comfort, and same two engine options from last year. Old models of this car were known as boxes on wheels, made for transporting boring people from point A to point B. Toyota did a lot when it comes to this vehicle’s design. It received the look of the least expensive Lexus. Toyota describes this vehicle as being elegant and athletic, and its new look is made to satisfy mid-aged family people, and unlike some previous models it has a definite American car look. It also has some specifics that are added in last few model years to become more appealing to the younger crowd, like aggressive lower dam and squared-off lights. One of the biggest disappointments when it comes to exterior styling are the taillights, that look overly generic. Although the new model also comes with some details from the much less expensive Toyota Camry, it also offers some nice touches that look more like they should be in Lexus or some other luxury vehicle. It comes with shy amount of wood-trim, some hard plastic as well, but at least it has a nice texture. 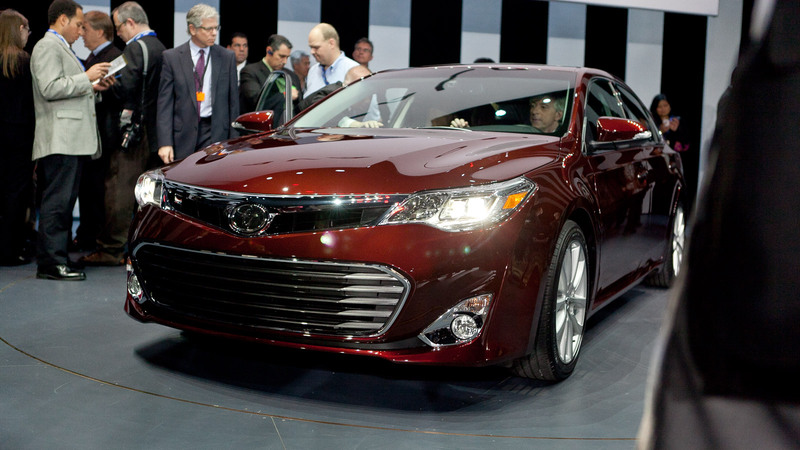 2015 Toyota Avalon is a very comfortable vehicle, it can easily fit five adults, even taller ones. 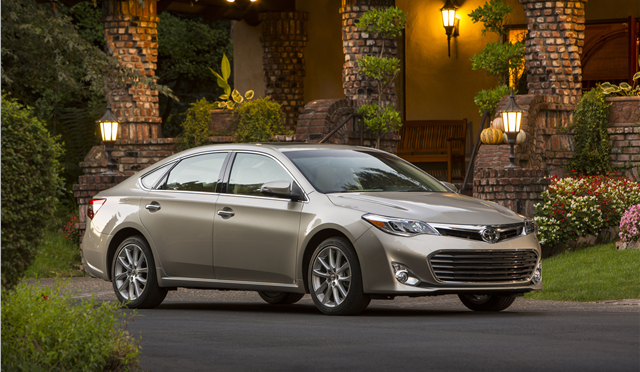 There are two engine options that come with 2015 Toyota Avalon. Hybrid is part of the line up since 2013 and offers really nice fuel efficiency, and solid power. It comes with 2,5 liter four cylinder engine, combined with Atkinson cycle electric motor and nickle-metal hydride batteries. It comes with EV driving mode in which is able to work on electric power alone, and reach the speed of 25 mph. Its overall output is 200 horsepower and it is able to reach 60 mph in 8,2 seconds. There’s also naturally aspired 3,5 liter V6 engine in the base version, that is able to produce 268 horsepower and 248 pound feet of torque. It is also able to reach 60 mph in only 6,7 seconds. Base version can be bought for $32,285 and prices for models with V6 engine go up to $39,980. There’s still no information about the price of the hybrid version. This sedan competes with Chevrolet Impala and Ford Taurus. 2015 Toyota Supra Exterior Styling, Performance, Price, History, Concepts 2015 Toyota Corolla Interior, Exterior, Performance, Price 2015 Chrysler 300 Price, Interior, Exterior Styling, Performance, Competition etc 2015 Porsche Panamera Price Exterior Styling, Interior, Performance etc.